Product #1804 | SKU 357PLV | 0.0 (no ratings yet) Thanks for your rating! A sliding quick release plate for fluid video heads. 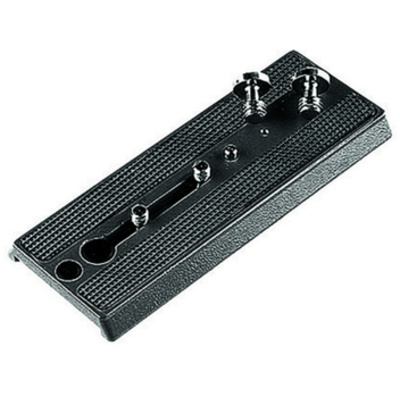 The Manfrotto 357PLV - Quick Release Video Plate is supplied with two 1/4" and two 3/8" camera fixing screws.The 357PLV sliding camera plate is compatible with Manfrottos 316, 510, 516 and 526 fluid heads and the 357 adapter.